Total Square Feet: approx. 450 sq.ft. 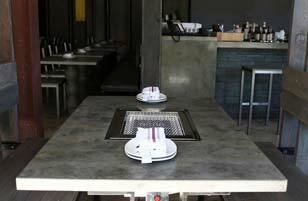 At Belly Q, a restaurant in Downtown Chicago, Illinois, the modern Asian barbecue may be the attraction, but Andrew Kerr’s handiwork is impossible to miss. 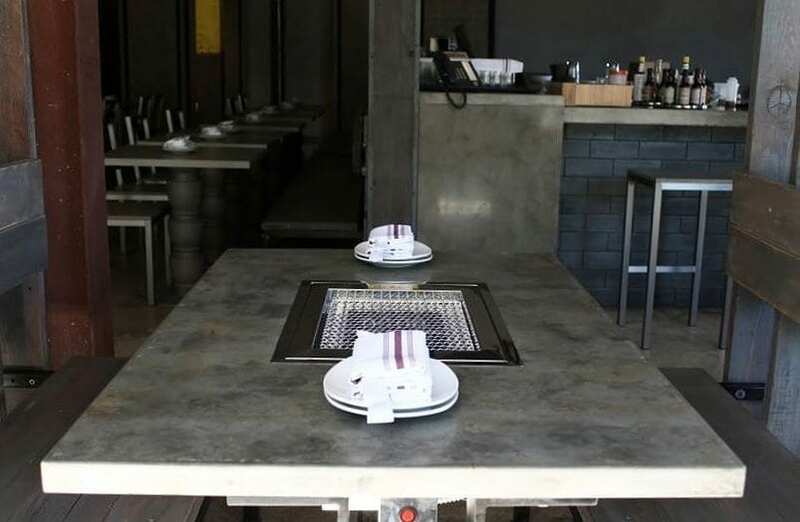 Called upon for over 450 square feet of concrete bar tops and tables, Andrew Kerr and his team at Kerr Concrete of Evanston, Illinois took on the task of creating 6 concrete tables with central burners, 1 long concrete table with 2 burners, and 3 concrete bar tops. 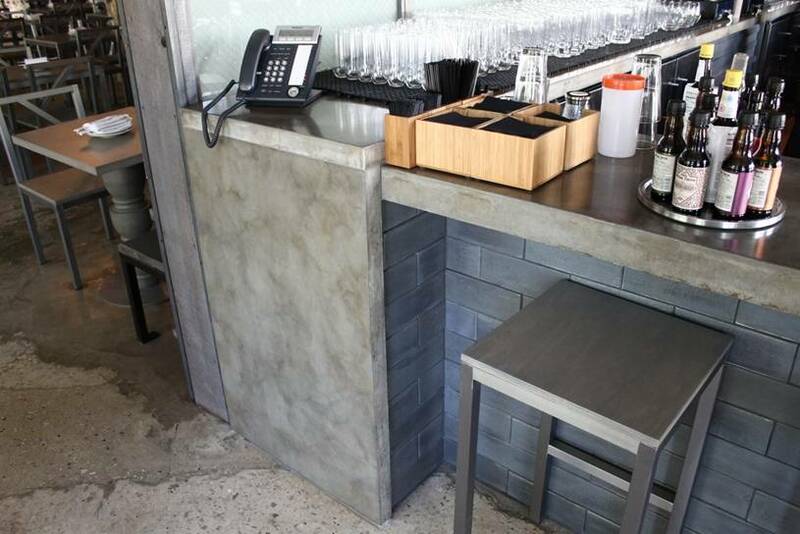 Andrew and his team chose to use SureCrete Design Products’ Xtreme Series PreCast Bag Mix for the concrete tables and bar tops. Since Xtreme Series Mixes are fiber reinforced there is no need for heavy traditional concrete reinforcements. 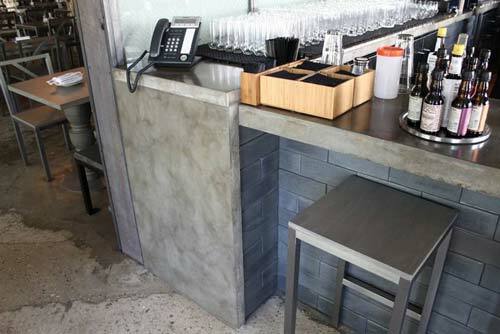 In this case, though, with only the support of thin steel bases, Kerr Concrete added fiberglass mesh to the tables as supplementary reinforcement. The establishment requested a custom palette for the tables and bar tops to compliment the industrial surroundings. 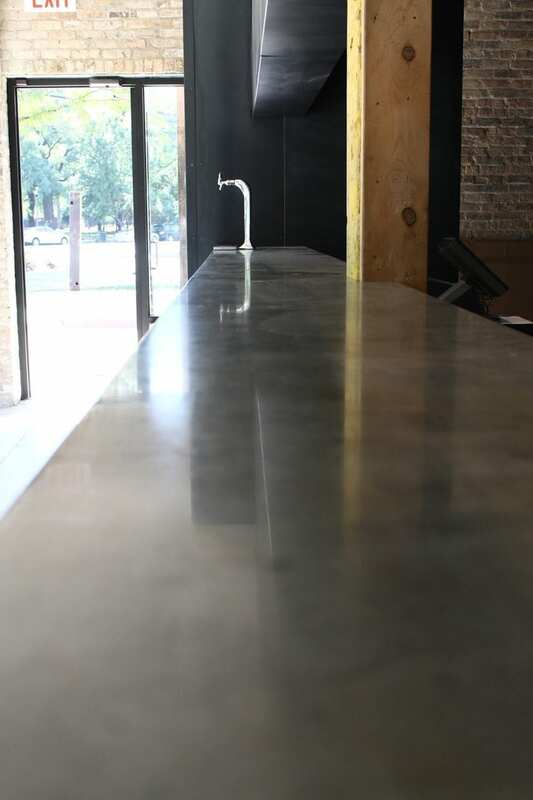 A multi-step process involving a rubbed-in slurry coat and a combination of pewter, charcoal, and oak colored Eco-Stain was applied to each table and bar top. 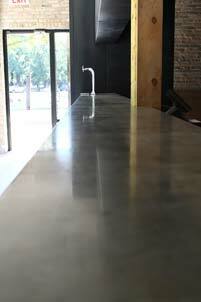 The pieces were finished with XS-327 Hybrid Water Based Polyurethane Sealer and polished to a high-shine. This sealer is food safe upon curing and can stand up to the abuse restaurant surfaces endure.